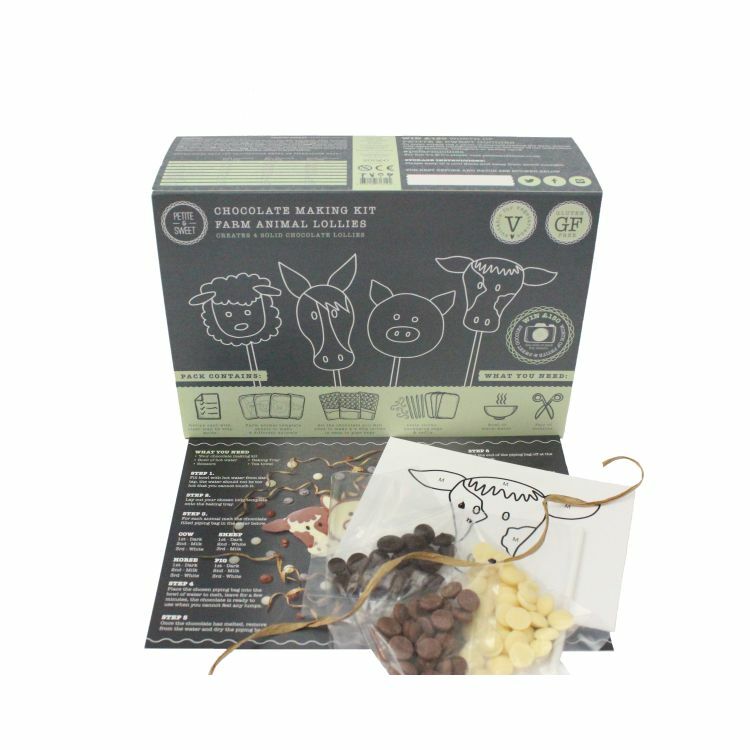 This kit contains everything you need to make your own chocolate lollies! Become a chocolatier at home with this wonderful lolly making kit. 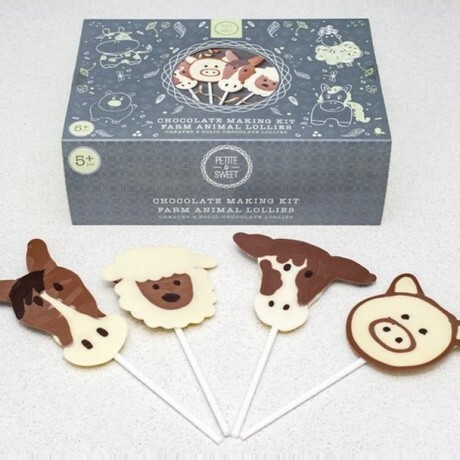 Create 4 delicious solid chocolate lollies in the shapes of farm animals. No need to buy any ingredients, this kit contains everything you need to get started, and the lollies can be made separately if you want. Suitable for all ages, 5 years old and above.